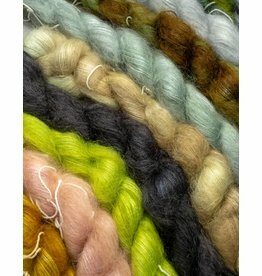 High fashion fantasy yarn. 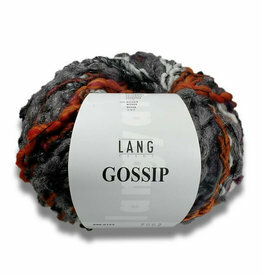 Bright, brushed mohair fibers contrast with a knitted neutral base tone to give knitwear that extra special something. On-trend, bright effect yarn that knits up quickly. Here bold colors pop against a neutral background. 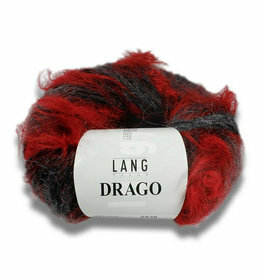 This captivating yarn is ideal for accessories or statement fashion pieces!